Hello again! The time has come for us to publish this month’s release for Glowstone, 2017.7.0. 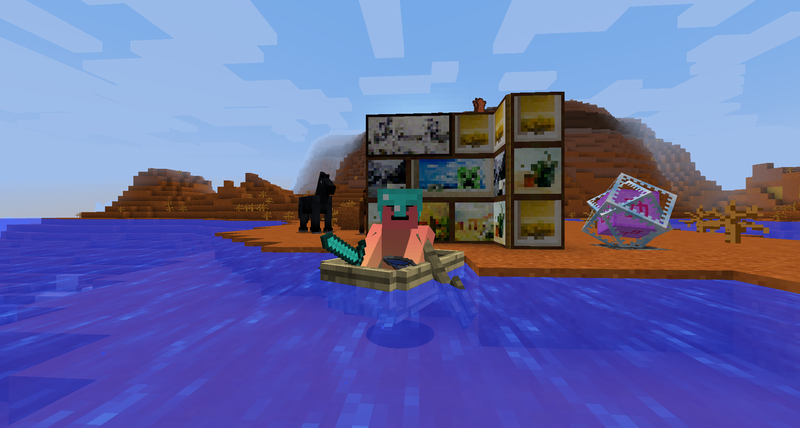 We have plenty of new features this time around, including boats and paintings, as well as many bug fixes since 2017.6.1. There has been a total of 40 commits by 8 contributors in July, with 4,491 additions and 730 deletions in 122 files. You can view the Glowstone JavaDocs here, and Glowkit’s here. The Beta site is a completely open-source initiative. More information can be found in the official announcement. Multiple issues with our Redis database and Proxmox virtualization system have lead to a complete external exposure of its contents (including email addresses and bcrypt-hashed passwords). All data between June 18 and June 25 has been lost due to a technical failure. Please read our report on the intrusion. Feel free to contact us if you have any questions or concerns about this. I have personally been working on implementing pathfinding for Entity AI. After several months of on-and-off work on this issue, I have found an efficient solution to implement it, and I am aiming to have it all functional for the next release (2017.8). We are continuously updating our Beta site with new features, and we are looking forward to your feedback. We are planning to have a complete ‘Download Center’ for Glowstone on there in the near future!